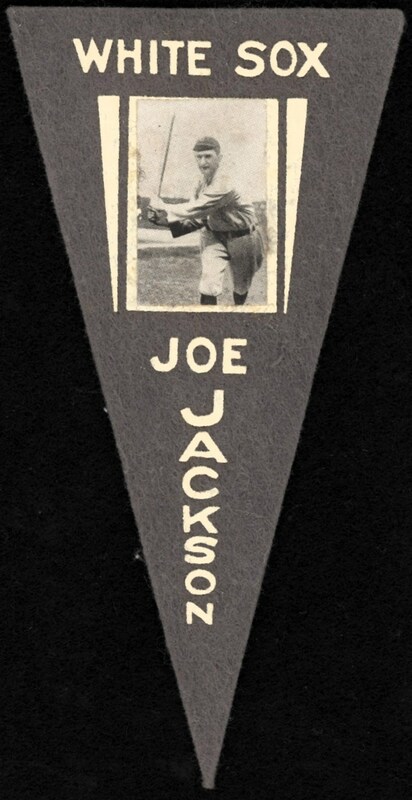 One of the more nebulous Jackson keepsakes just happens to be his extremely obscure and highly coveted 1916 BF2 pennant. In 1916, the Ferguson Bakery Co. of Roxbury, Mass. distributed small felt pennants for the purchase of five-cent loaves of their popular bread. Measuring 2-7/8" x 6", a total of 97 different players were offered and are commonly designated as "BF2 Pennants". This esteemed offering depicts one of the classic black & white Joe Jackson images typically seen on his ultra-popular 1916 M101 cardboard related issues. Remaining in its virtual original impeccable state, no glaring surface flaws are evident, with the surrounding "WHITE SOX" AND "JOE JACKSON" text neatly affixed to the clean beige felt. 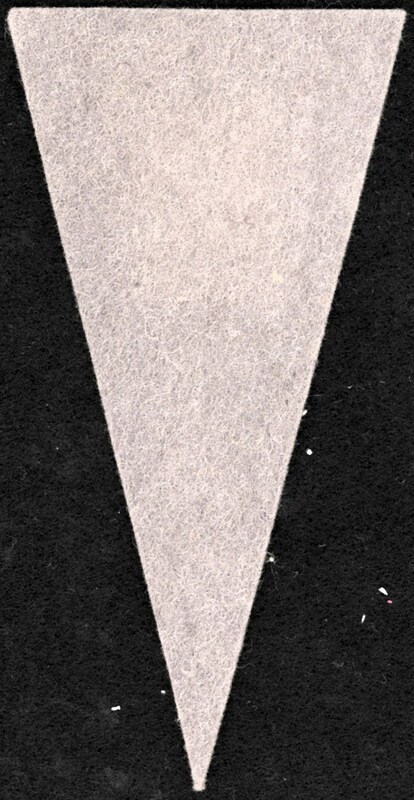 Its final exclamation points include no fraying along the clean edges and a super clean verso. Oddly enough, being one of the "Black Sox" eight has made any of their collectibles skyrocket in desirability and value, with Joe Jackson related artifacts paving the way. "Shoeless" Joe Jackson's legacy as one of baseball's greatest hitters ever will forever be overshadowed by his role in the 1919 World Series "fix" when eight White Sox players chose to "throw the series" to receive money from the highly noted crooked odds maker Arnold Rothstein. Unfortunately for Jackson, his unparalleled batting prowess takes a back seat to the "Black Sox Fix", and although acquitted with the seven other alleged gamblers, Jackson and his co-conspirators received a lifetime ban from baseball. Regardless of his exclusion from the Hall of Fame, "Shoeless" Joe's popularity has increased profoundly, with collectibles such as this outstanding felt pennant continuing to soar in value. That said, this arguably finest preserved example presents itself as a golden opportunity to capture one of "Shoeless" Joe's more elusive mementos!